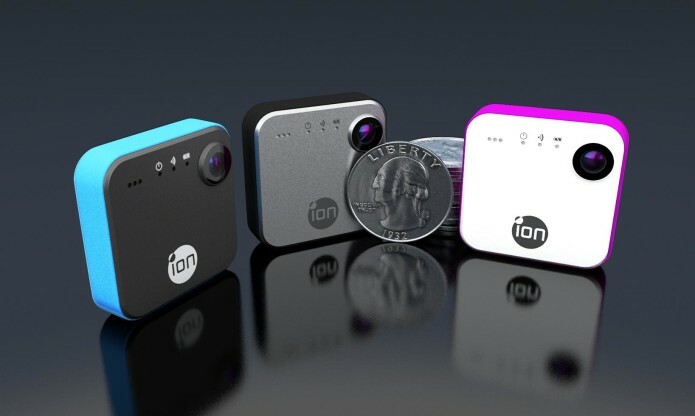 iON has introduced its SnapCam camera, a social-centric wearable POV shooter measuring in at 1.5-inches with a wireless connection to one’s smartphone. Central among it all is the 8-megapixel sensor that allows users to create HD video and snap still images, as well as live-stream their daily happenings whenever they feel like it. Speed is one of the device’s biggest bragging points, with iON saying users can have it taking a picture or recording a video in “less than a second”. Under the plastic hood lies an OmniVision processor, and as a result the wearable is able to activate with a single finger swipe. It’ll last for up to seven days in standby per charge, and offers both a clip and a magnet for fixing the camera to either your body or a metal surface. One can double-tap to record a 720p/30fps video, or single-tap to snap an 8-megapixel picture. A triple tap will get you live streaming, so one should be careful about where they mindlessly drum their fingers. There’s a microSD card slot with support for up to 32GB of storage. Connectivity with one’s smartphone is achieved using Bluetooth or WiFi. The unit will be made available in white, black, and gray, with customization possible through color bumpers. The SnapCam is priced at $149.99 USD.